A committee of ministers has selected Heathrow expansion as its preferred option for airport expansion in the South East, the government has confirmed. In a statement issued this morning, the government announced its support for a new runway at Heathrow. The Department for Transport's statement said that the scheme will now be taken forward in the form of a draft national policy statement (NPS) for consultation. The draft NPS will be published for consultation in the "new year", the statement said. 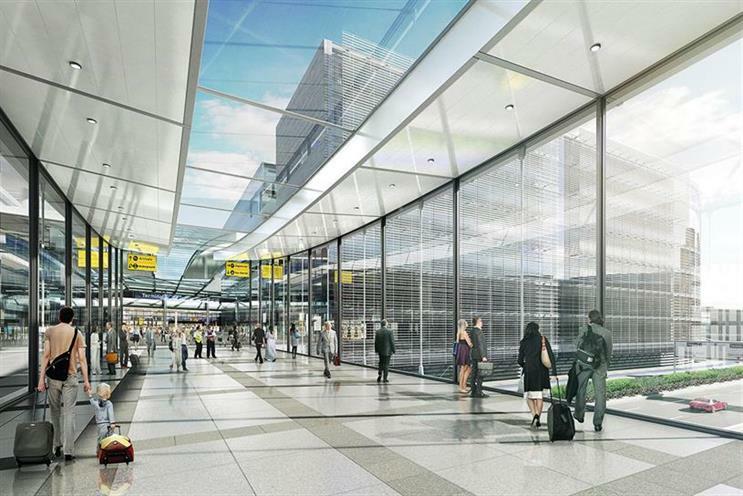 The DfT’s statement said that following the Airports Commission's recommendation in favour of a third runway at Heathrow, it had conducted further work on the environmental impact of the scheme. Gatwick had been lobbying for a second runway and each airport had run print and outdoor ads to argue their respective case. Heathrow, which offers more direct flights, is operating at 98% capacity, while Gatwick is expected to run out of space in the next few years. Earlier this year, Heathrow Airport picked Havas Worldwide and Havas Helia for its integrated advertising and CRM business after a competitive pitch. Transport secretary Chris Grayling said: "This is an important issue for the whole country. That is why the government’s preferred scheme will be subject to full and fair public consultation. "Of course it is also hugely important for those living near the airport. That is why we have made clear that expansion will only be allowed to proceed on the basis of a world class package of compensation and mitigation worth up to £2.6bn, including community support, insulation, and respite from noise – balancing the benefits and the impacts of expansion."